The material on this page is incomplete. Please help contribute and expand this article. Modular origami uses more than piece of paper to create a final product. Origami is the art of folding and arranging paper for a designed outcome without cutting the paper. 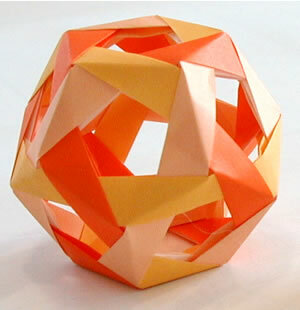 Although it is common for origami to use one standard sheet of paper, this is not always the case, as in modular origami. Origami originated in Japan. There isn't a specific time of creation, but the art of origami is at least a couple thousand years old. The most favorite origami piece that originated in Japan is the crane.